Celebrate 100 years of Club de FÃºtbol AmÃ©rica. 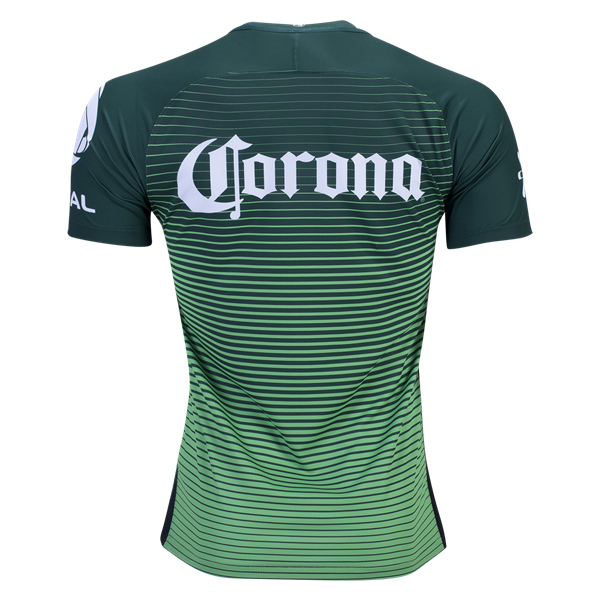 The Eagles return to a green third jersey, with a gradient design of dark green fading to light on the body, and dark green sleeves. The logos are white. During a season of centennial celebrations, Nike has included a special commemorative patch on the jerseys. 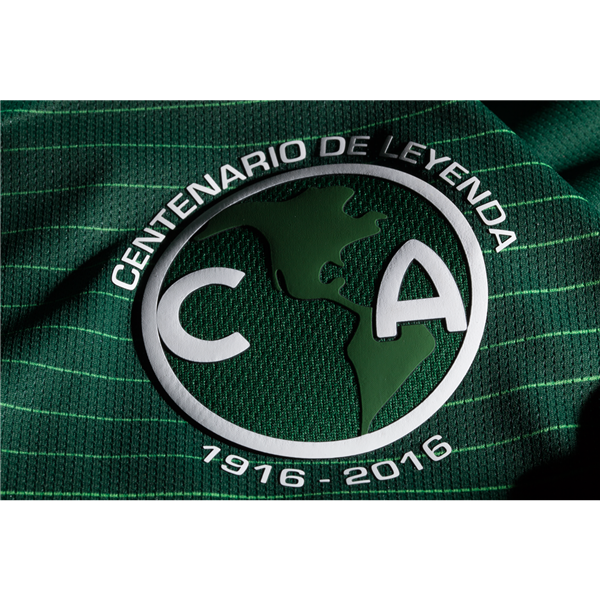 The iconic continents of the Americas are circled with "Centenario De Leyenda" (Century of Legend) 1916-2016. A small "100" tag is sewn on the back collar.